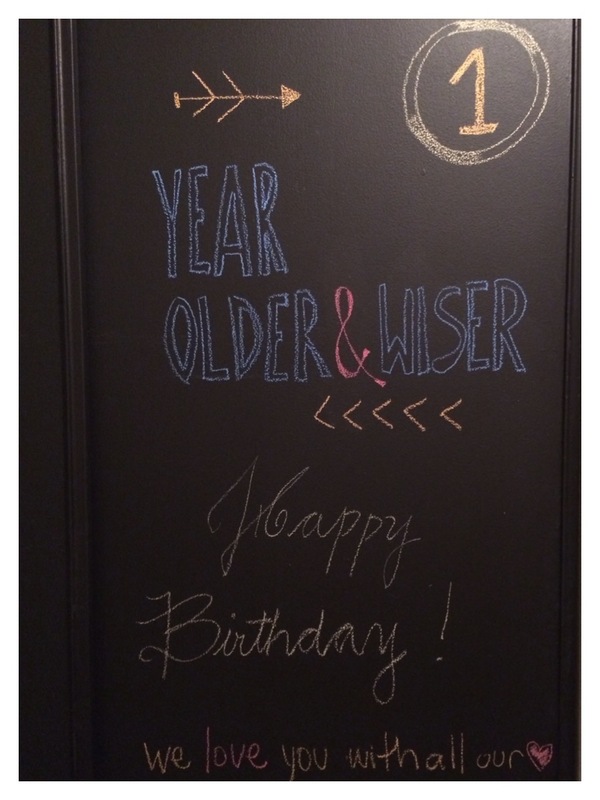 This week I’ll be sharing with you some of the crafts I did for Victor’s birthday party. 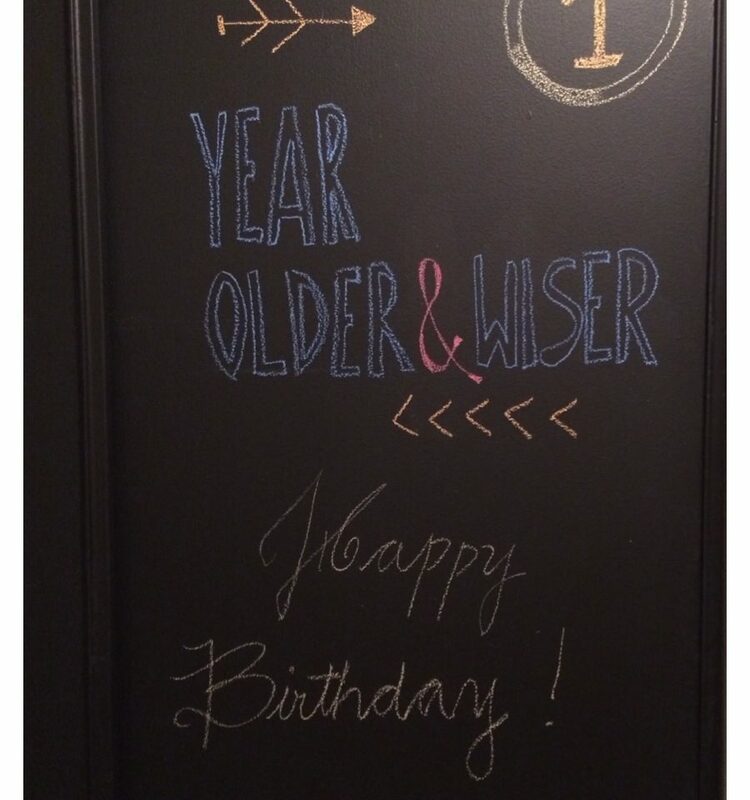 I took this idea and made my own message at our chalkboard-closet. Esta semana compartiré con ustedes algunas cositas que hice para el cumpleaños de Victor. Tomé esta idea e hice mi propio mensaje en el placard pintado con pintura de pizarra.